My birthday falls just after the 4th of July, which means that I grew up with a generous amount of fanfare around my birthday, all of which I assumed was meant just for me. In addition to a pool party with my friends, my grandma would make me my very own blueberry mountain pie. 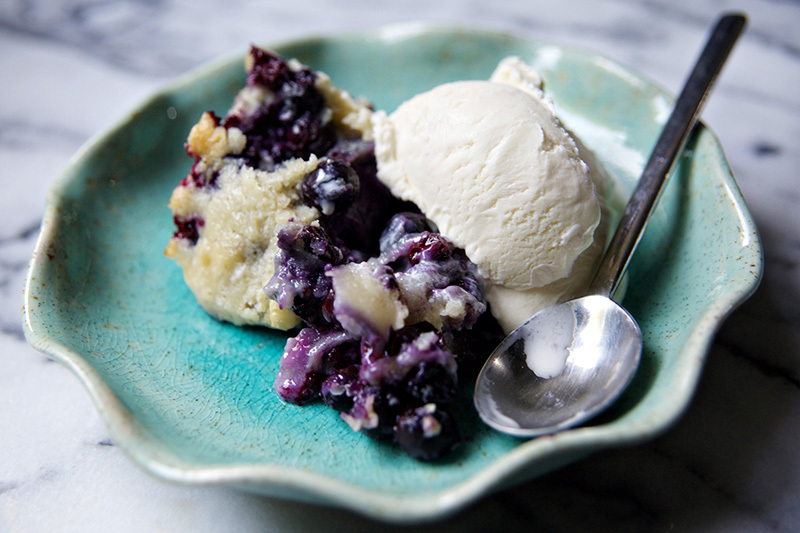 This pie, a cake batter poured on top of pints of fresh blueberries, was her specialty. Served hot with cold vanilla ice cream it is still my favorite dessert to serve on my birthday, a true family favorite. The family story goes that my Aunt Jinx served a mountain pie to my great grandmother, Sybil, while Jinx was living in Tennessee and the recipe made such an impact that Sybil brought it home and it spread like wildfire through the family. By the time I came along years later it was a family staple. It occurred to me recently that a mountain pie is the very (very) close cousin of the sonker, a Western North Carolina (Surry and Wilkes counties to be specific) specialty. What makes a sonker lovely is the combination of bubbling fresh fruit (or sweet potato) and cakey topping. 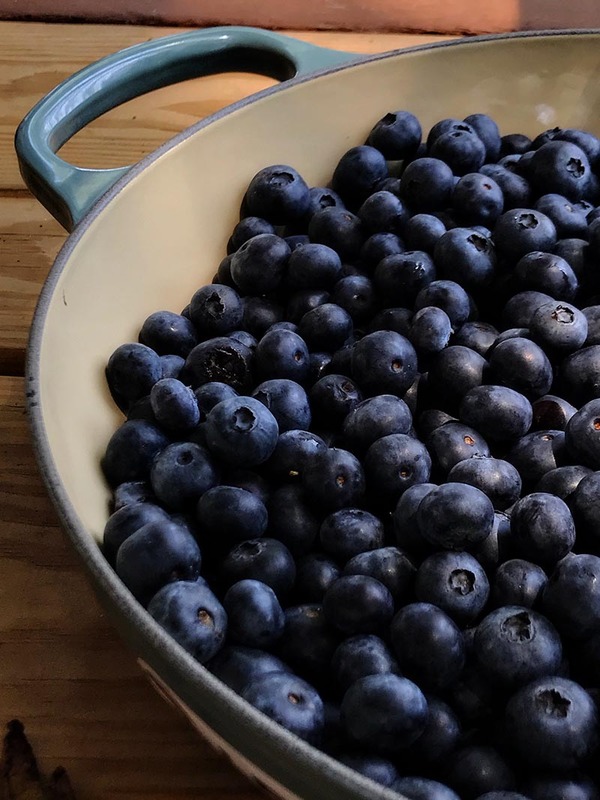 The sonker variation I grew up on calls for the topping to be poured into the blueberries, allowing it to bubble up and through. In other variations a thicker dough is rolled out and made into a lattice top, similar to a traditional cobbler. Still others call for a top and bottom dough, edging closer and closer into “pie” territory. No matter the distribution of the crust the effect is still the same- browned and bubbling fruit, sweet and tart, with crust toasted the perfect shade of brown. Preheat oven to 400F. 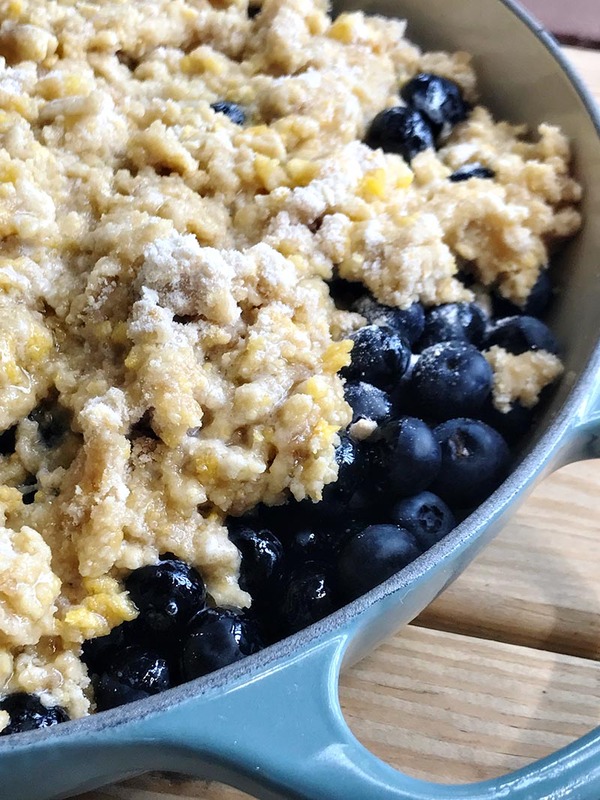 Melt butter and mix with blueberries, along with lemon juice. Transfer into a 9×9 baking dish. Mix together sugar, flour, milk, egg, and vanilla extract. Stir to incorporate and pour over blueberries. 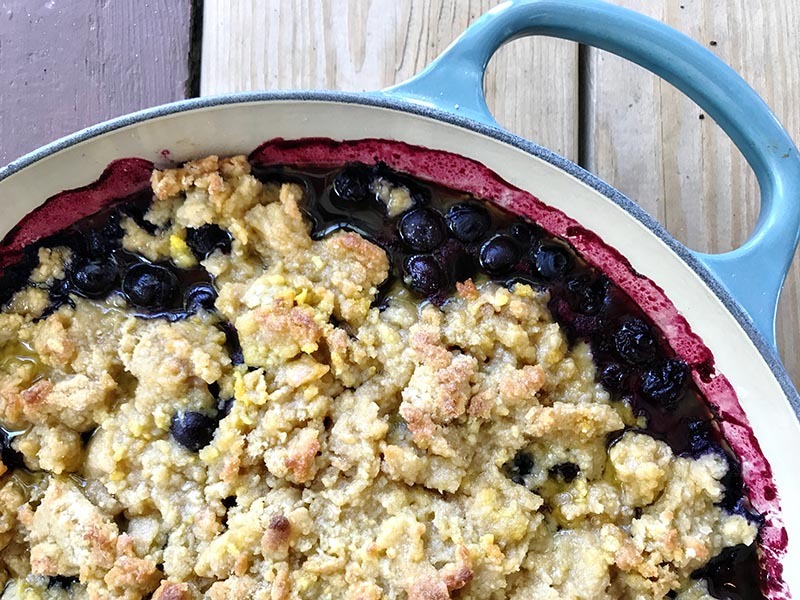 Don’t mix the blueberries and the batter together! Bake for 25-30 minutes or until bubbling and browned. Serve hot with vanilla ice cream. Y’all, I’ve almost made it. In just over a week I’ll have survived another school year, this one with the additional challenge of teaching with my baby in tow. In all honesty, it has been an incredible blessing to have Everett with me at school, and I’m deeply grateful to have had the opportunity to spend every day with him while also going back to work. That said since he decided to become very mobile a few weeks ago after an extended “potted plant” phase, I’m exhausted from chasing him around the classroom trying to prevent him from swallowing colored bead bars and pink tower cubes. It’s time for summer, hallelujah amen. As the weather creeps into the 90s and the humidity cranks up to 11, I’m spending most of my days fantasizing about all the different ways I can put my cocktail shaker to good use. 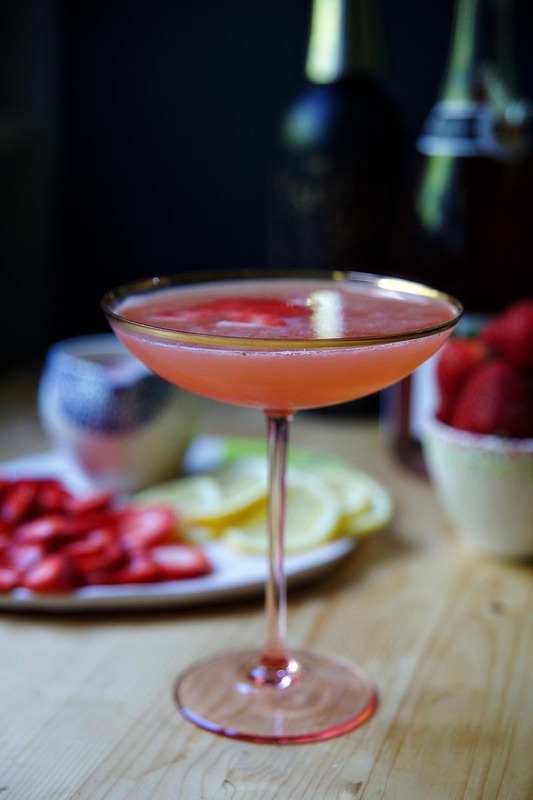 And lately, with the strawberries at their peak, ripe and tart and sweet, my cocktail shaker is churning out strawberry lemonade more than anything else. 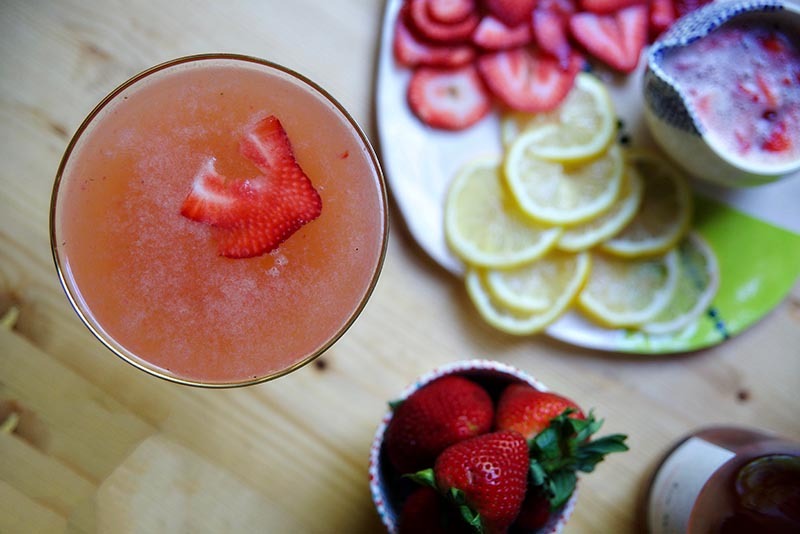 Strawberry lemonade is as simple as it sounds- strawberry simple syrup, freshly squeezed lemons, gin, and a top off of rosé. Simple, and incredibly refreshing. And when served in a fancy coupe glass, quite the show stopper. It’s ideal fantasy material for the days that begin at 5am and are spent chasing around a baby and a mess of preschoolers. 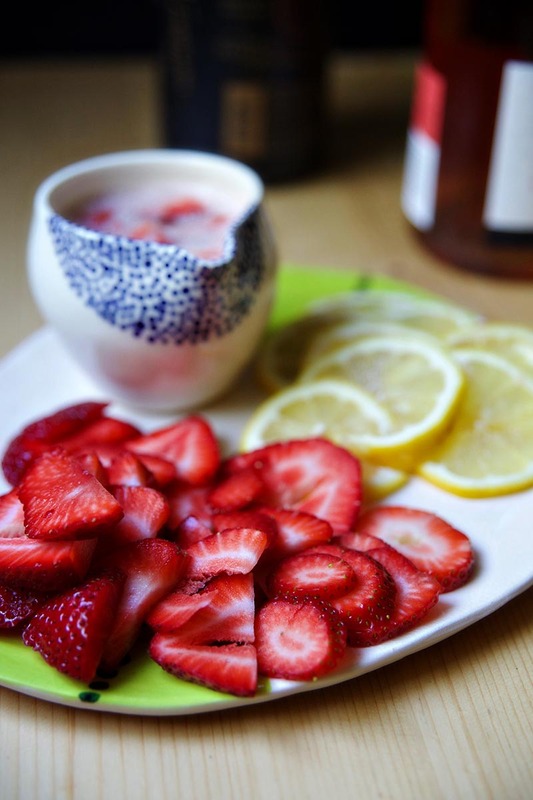 Combine strawberry syrup, lemon juice, and gin in a shaker with ice. Shake well and pour, strained, into a cocktail glass. 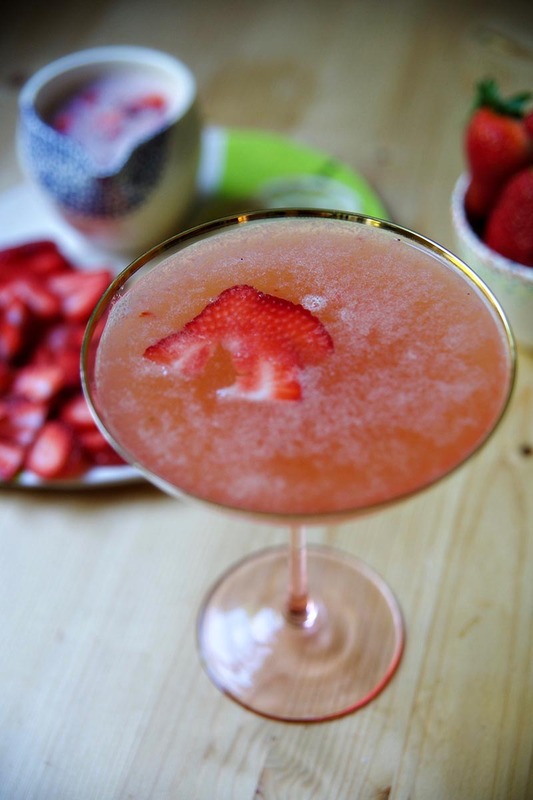 Top with rosé, garnish with a strawberry slice (or two) and serve. Simmer over medium/high heat until sugar has dissolved into water. Allow to cool completely. Will keep for 1 month in the fridge. Today is the day! 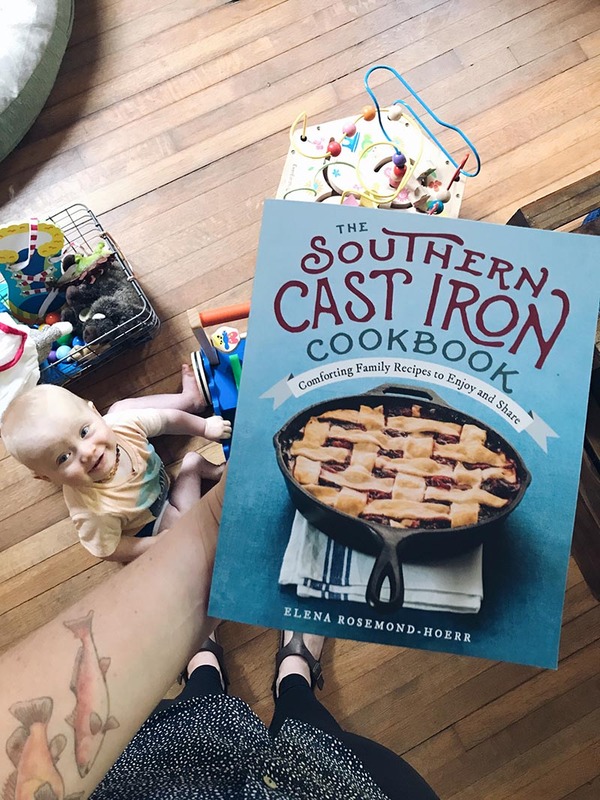 The Southern Cast Iron Cookbook has hit shelves and doorsteps, and I am so incredibly proud. I can’t wait to hear what you all think of it, andI hope you love these recipes as much as I do.